OOCL has ordered six containerships of 21,100 teu at Samsung Heavy Industries (Korea) at a price of $158.6 M per unit, with deliv-ery planned in 2017. The capacity advertised by Samsung takes into account additional layers of containers aimed at the repositioning of empties. These ships will be 400 m long with a 58.80 m breadth allowing 23 container rows on deck. They are similar to the 18,000-20,000 teu ships built or ordered so far, of which 77 units in total have been con-firmed to date. 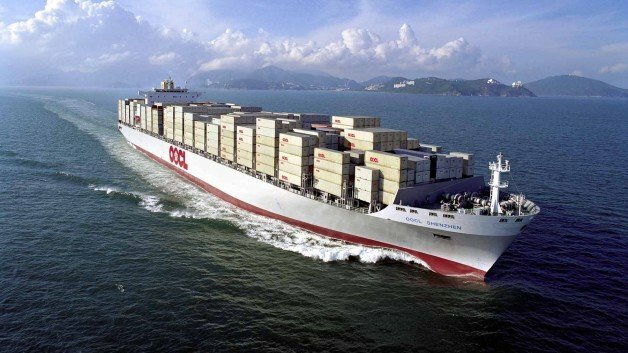 OOCL is the second partner of the G6 alliance to order ships of this size, after MOL, which unveiled a newbuilding program for six 20,150 teu units one month ago. A total of seven carriers have ordered ships of this class, spread across all four main alliances.